Cofense PhishMe SBETM is easy to use and doesn’t need a lot of customization. Our users love it because they learn from the simulations with on-the-spot education that’s quick, concise, and most importantly, doesn’t require them to sit through 20-30 minute videos. Over half – 55 percent – of small businesses reported being targeted by phishing campaigns. And that number will only continue to grow.1 With only 14 percent of small businesses indicating that they’re “extremely well-positioned” to respond to a security threat,2 it’s no wonder cybercriminals view them as easy targets. Since small businesses are lean and nimble, they often lack the dedicated resources needed to combat daily cyberthreats. But that doesn’t mean they can’t fight back. By conditioning their employees to recognize and respond to cyberattacks, small businesses can create a cost-effective human firewall against phishing attacks. Cofense PhishMe SBE provides small businesses with Cofense’s award-winning phishing simulation and behavior conditioning solution. 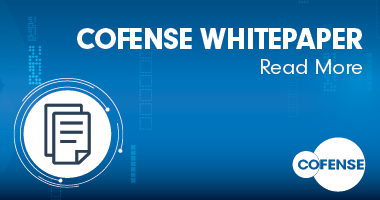 Cofense PhishMe SBE delivers hands-on experience and on-the-spot education opportunities that transform your employees into your strongest defense. With Cofense PhishMe SBE, small businesses benefit from years of expertise to raise end-user awareness and condition them to recognize and resist phishing threats. Cofense PhishMe SBE provides over 65 phishing simulation templates – including a selection from our advanced catalog – and the ability to run unlimited scenarios throughout the year. Cofense PhishMe SBE arms employees to fight phishing threats by turning them into a human firewall. The solution tracks progress, improvements, and interactions with different scenario types. As end-user susceptibility declines, you’ll reduce your risk of breaches caused by phishing attacks. The reports will also help you document and communicate your program’s success . Cofense PhishMe SBE is a turnkey, easy-to-manage SaaS solution that deploys quickly with minimal IT management time. Since our solution is hosted and maintained on our dedicated servers, there’s no complicated setup or installation. And CofenseTM never stores sensitive data, like passwords or other information. From the first time you log in, you’ll see how easy it is to select scenarios and run simulations. And with our scheduling feature, you’re able to throttle and automate delivery. We also provide you with our Recipient Generator – an easy solution to export users from your email Active Directory or Global Address List – without help from IT. From videos to infographics to free CBTs, Cofense PhishMe SBE provides access to one of the largest cybersecurity content libraries available. The solution also lets you easily schedule educational content and send to end users depending on how they interact with the phishing simulation. If you have 500 employees or more please visit our Cofense PhishMeTM page. Want more information? 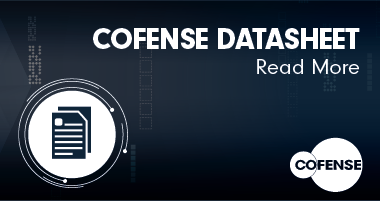 Download the Cofense PhishMe Small Business Edition datasheet. A free solution for small businesses not requiring advanced functionality.